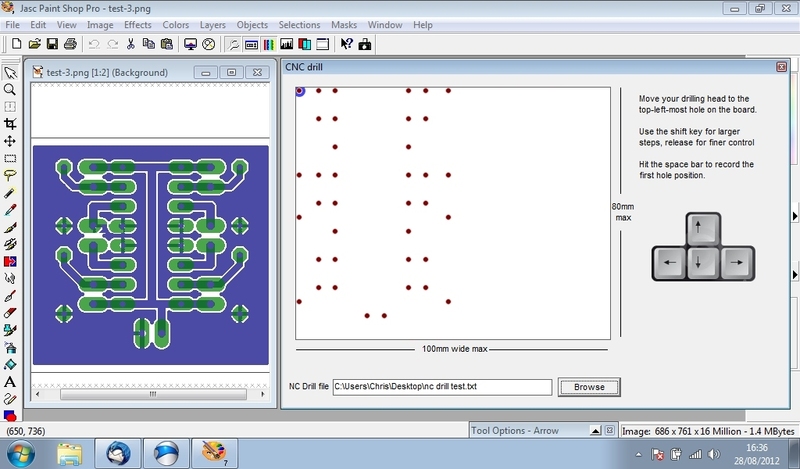 Ever used Mach3 for your CNC machine? Or RouteOut? Or one of those other CNC applications with a myriad of settings so that it can support any type of CNC machine? If you’ve ever bought a second-hand CNC machine off eBay or tried to build one from salvaged parts, you know how difficult it is to work out (or guess at) the settings to make it work. Sometimes you end up shoving numbers in and keep tweaking until the actual output sort-of matches the drawing files you give it. 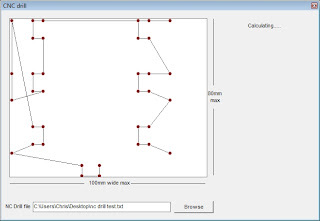 Not only has Robot Steve redefined simple CNC design, with his awesome push-fit chassis, but this custom-written software is designed to do away with CNC-hardware-related headaches. Simply load a file, manually move to head to a start position (origin), move the head to a second position, then hit go. 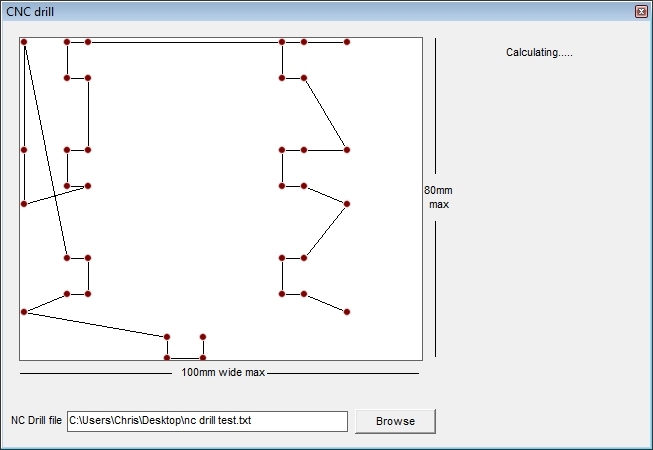 At the minute the software can read NC drill files. At first, something appears to have gone wrong down the left-hand side. But on further inspection, the software is actually following the simple rule “move to the nearest hole that hasn’t been drilled yet”. 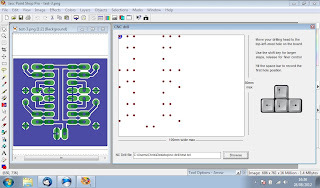 Because we set the origin to the top-left-most hole then travel to the bottom-right-most hole, the cutting head should be at the bottom right of our PCB. From here, it starts with the rule “move to the nearest point” then marks it as “drilled” when it gets there. Repeating for only holes that haven’t been drilled creates the cutting path above.